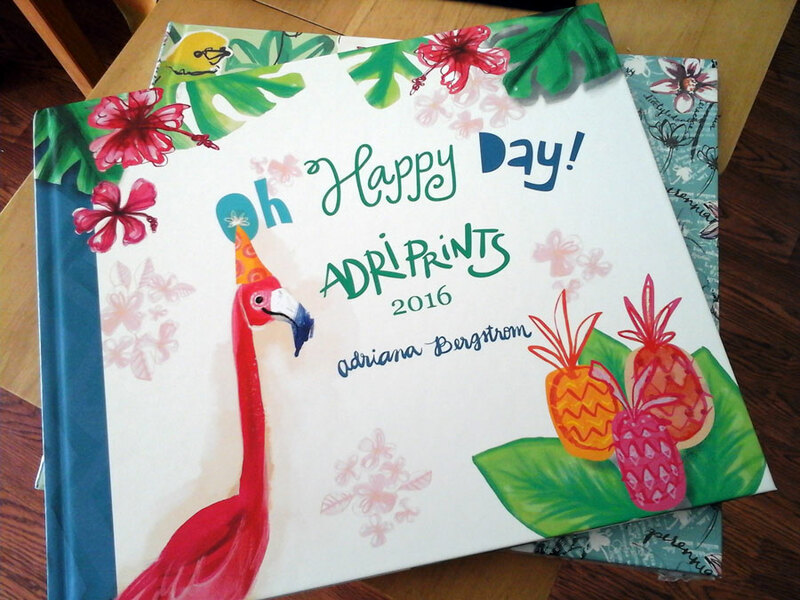 May 10, 2016 Adri H.
I cannot believe it's May and time for Surtex!! I've been prepping all year long for this surface design and textiles industry trade show, and it feels a little unreal that it's only a few days away. 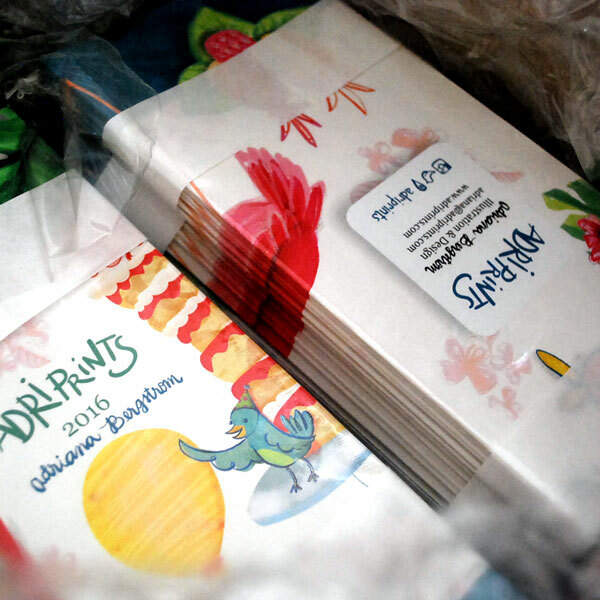 My seeds (preparations) included creating over 180 images, making booth banners, promo bookmarks, promo books, fabric swatches, greeting cards, brochures, and sewing some hand-printed zip pouches! 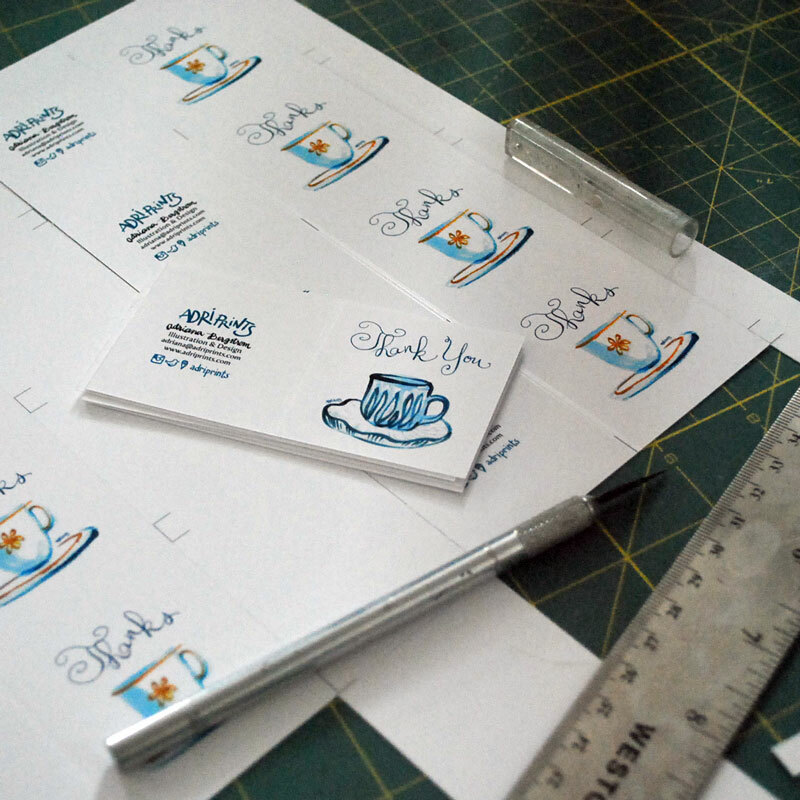 My fellow members of Finch & Foxglove, my art collective, have also been prepping their hearts out in order to make our collective's Surtex debut a success! One of the things I love doing is making things with special touches -- a handmade embellishment, a touch of real texture, a tiny print, or very intricate background. 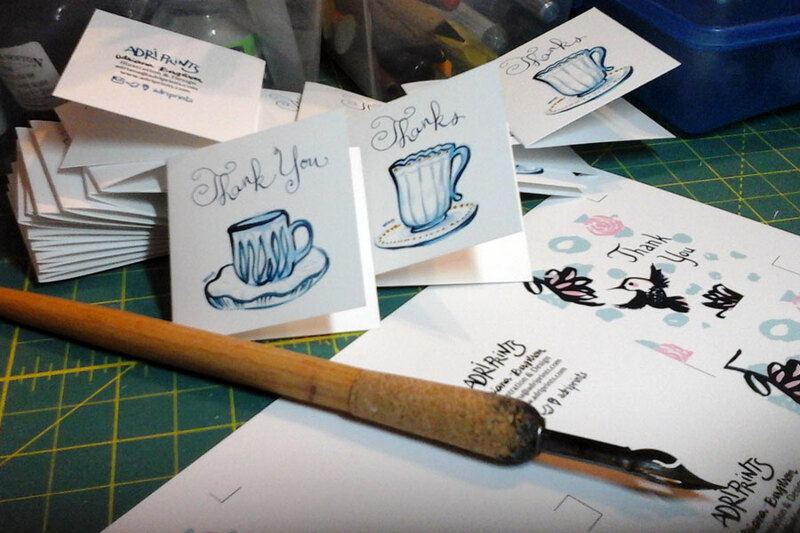 In preparation for Surtex, I created teensy tiny cards that I printed, scored, and cut myself in order to give thanks to visitors, art directors, or art buyers who stop by our Finch & Foxglove booth. I also sewed some zipper pouches that are fully lined inside! The outside fabric is my own work, and it's so nice to see it on an actual product! 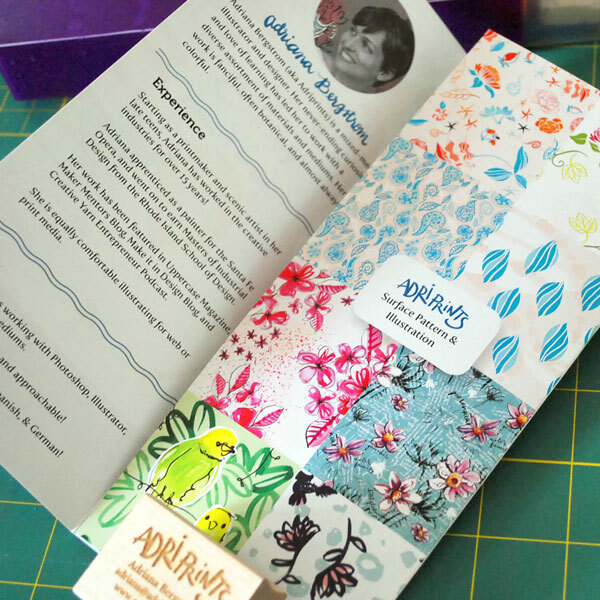 This is a general overview of the items I'll be bringing with me to exhibit at my debut Surtex, and I will be doing a post-Surtex review once all is said and done. I'm excited to figure out what works (as well as what doesn't)! And, if you're going to be at Surtex in NYC this Sunday to Tuesday, you can find me and my work at Finch & Foxglove's booth #543. Can't wait to meet you! P.S. Let me know ahead of time if you'd like to meet up with me so I can be sure to be at the booth - we're taking shifts since we're 8 artists in a 10x20' booth.